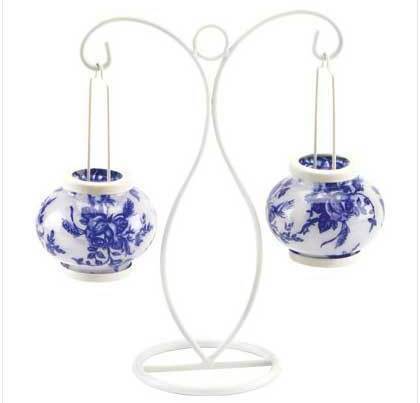 Prettified by dainty Delft-style roses, two glass globe-style shades hang suspended by graceful white scroll work. 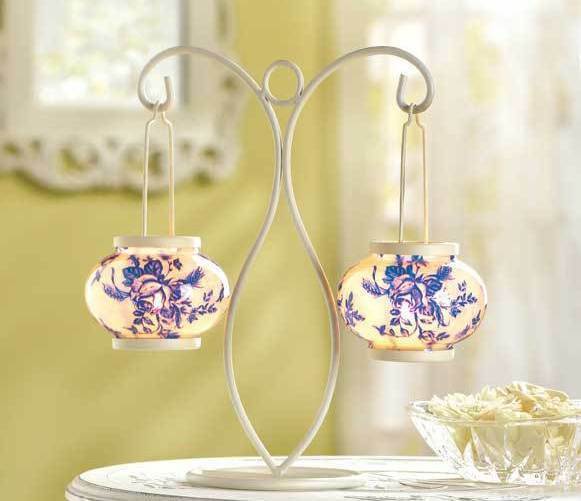 This dainty lamp is stylish wherever you wish to cast a glow of old-fashioned romance and gentility!Metal with glass globes. Uses two tea lights (not included). 10 1/2" x 4 1/4" x 10 1/2" high.